Obituary for Mary Keys Powers | McClellan-Gariepy Funeral Home, Inc.
Cambridge-Mary Keys Powers, 90, a longtime resident of Cambridge, passed away unexpectedly on Wednesday, January 9, 2019 at her residence. Born September 25, 1928 at home in Hebron, she was the daughter of the late Alexander and Mabel (Goodell) Keys. Mary attended a one room schoolhouse in Hebron and graduated from Salem Washington Academy. 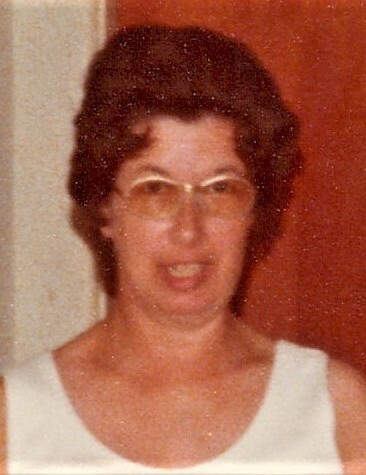 Mary worked as a waitress many years for many local restaurants and she last worked at the Paradise Restaurant in Bennington, VT and enjoyed sewing and gardening. In addition to her parents, she was predeceased by her husband, Joseph Powers, Jr; a nephew, Keith Carpenter; siblings, Marjorie Carpenter, Margaret Keys, Charles A. Keys, Nellie Getty, Harriet Bain & Lillian Woodell. Mary is survived by a niece, Joni Rhodes of Schuylerville who lived with Mary and Joe during her teenage years and many nephews survive. A funeral service will be held at 1 pm on Friday, January 18, 2019 at the Ackley, Ross & Gariepy Funeral Home, 73 West Main St., Cambridge with Rev. Carol Finke officiating. Interment will be at Woodlands Cemetery in Cambridge at a later date. Memorial contributions in memory of Mary may be made to the Cambridge Valley Rescue Squad, 37 Gilbert St., Cambridge, NY 12816.